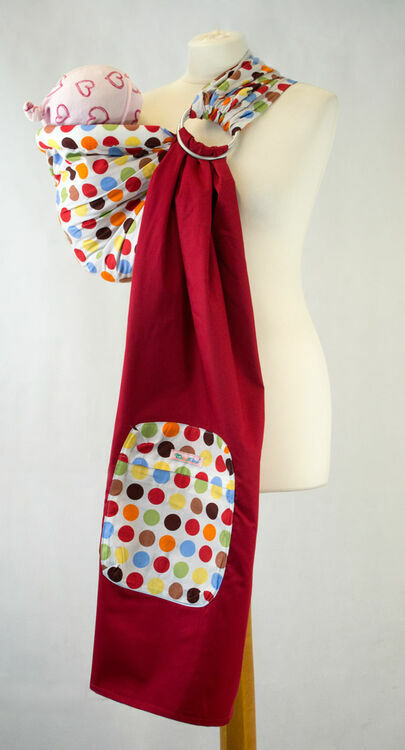 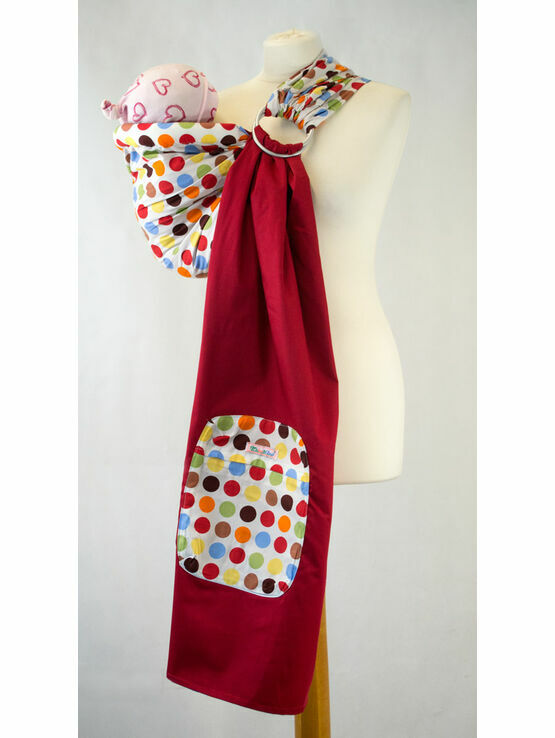 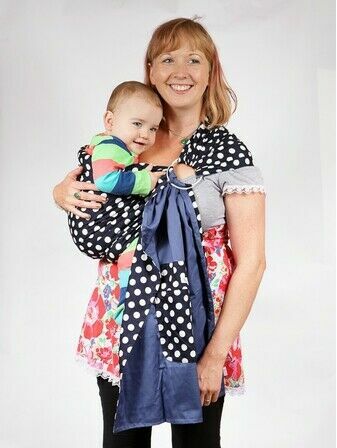 A wonderfully coloured and arranged Palm and Pond Baby Ring Sling, made from nothing but 100% cotton, featured in a red and polka dot design for a Mum with a fun loving spirit. 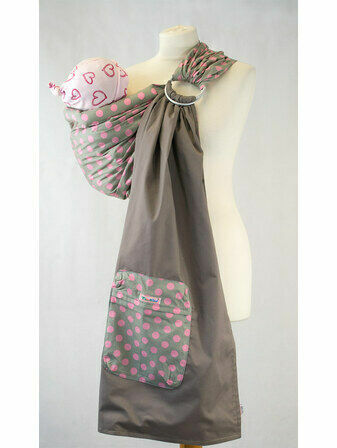 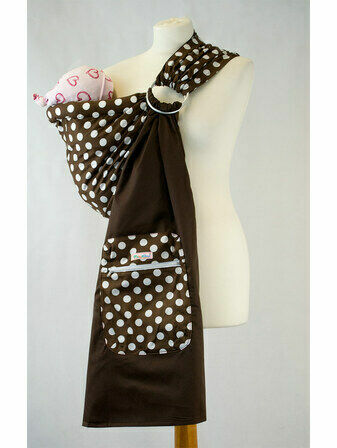 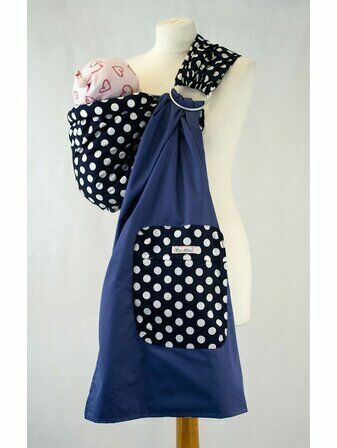 These high quality slings have padding built in at both the top and bottom to provide added comfort for your baby, and also have a zip-up pocket to give you extra convenience.. 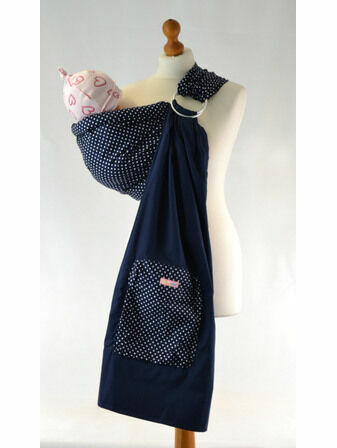 There is no padding over the shoulder to allow for the material to be spread out, evenly distributing your baby’s weight. 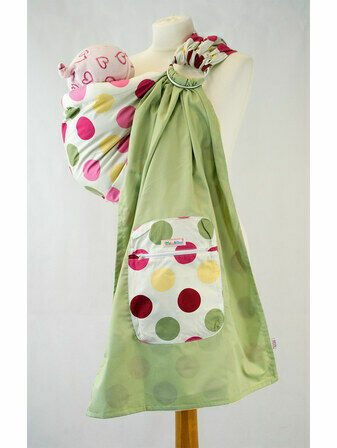 Suitable for babies from birth to 33lbs. 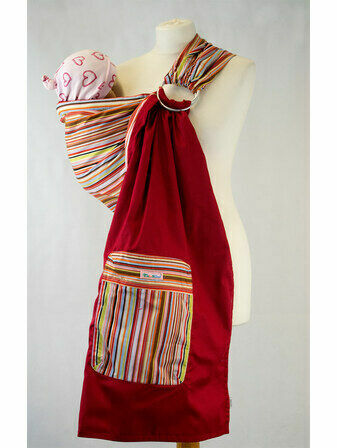 The Ring Sling is 180cm in length.